The FBI recently announced the launch of a new webpage that aims to help spread information about foreign influences and how they can be minimized. The Combating Foreign Influence page aims to raise public awareness on how other nation states are taking advantage of the online world to sway US events and politics in their favor. Why Is the Combating Foreign Influence Page Necessary? Foreign entities have always tried to influence events in other countries to produce outcomes that favor their own interests. It has happened since the early days of statehood and still occurs all over the world today. Despite this ever-present reality of international conflict, recent technological advances have opened up a range of new and more powerful techniques for countries to exert their themselves. Countries use the internet to influence and attack each other in a range of ways. These include spreading online propaganda, targeting the government and businesses with cyber attacks, hacking into organizations or individual accounts, providing illegal campaign financing or criminally suppressing votes. All of these actions can stifle democracy and cause both political and economic harm to the US. These advances in influence techniques need to be addressed by taking the appropriate security measures. These can range from simpler measures like creating effective policy and raising greater public awareness, to implementing better password management and encrypting all sensitive information. What Are Some of the Biggest Threats? The most recent example of foreign influence and the likely catalyst behind these FBI initiatives is the series of Russian attacks against the US that became evident around the time of the 2016 presidential election. These attacks started with a Russian-linked campaign that aimed to influence the election by creating fake social media pages and posts, as well as misleading advertising. These activities were aimed at promoting divisive ideas as well as candidates from both extremes of the political spectrum, with the aim of causing disharmony and political turmoil throughout the country. It’s important to note that these propaganda campaigns supported Trump, Sanders and other minority politicians from both sides, instead of just favoring one candidate. This makes it a clear bipartisan issue and not just some kind of smokescreen sprayed up by either of the major parties. The DNC, DCCC and the Clinton email attacks were also perpetrated by Russian groups. On top of this, there were Russian attacks on voter databases in 39 states, with 90,000 records stolen from Illinois and records altered in another state. In what may be the most frightening of all of these attacks, Russian-linked hackers also made their way into a number of electric utilities in 2017. Although the operatives didn’t do any damage during these intrusions, the fact that they could penetrate into these systems shows the potential for them to cause devastating blackouts or other attacks on key infrastructure. Despite the huge number of Russian hacking stories that have been in the news, they are far from the only ones using these tactics. China and Iran are just two examples of countries that have been exerting their influence through cyber warfare in recent years, although it wouldn’t be surprising if most major powers use these methods in some capacity. The launch of the FBI’s Combating Foreign Influences page is just one of many steps towards reducing the impacts of these influences on American politics and society. Alongside this new page, the FBI has also launched its Protected Voices initiative. 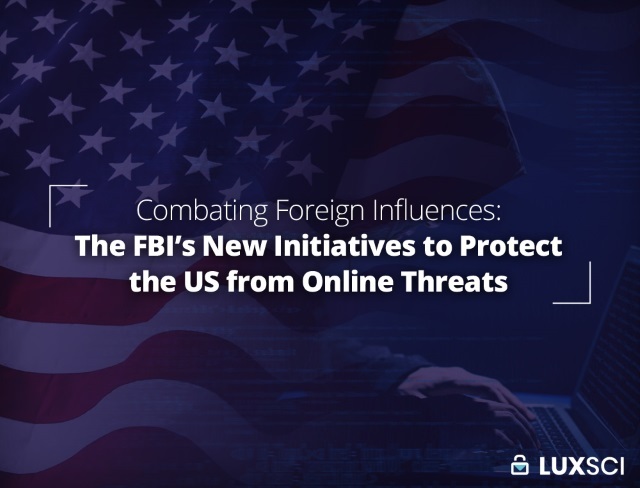 Just last year, the FBI also established its Foreign Influence Task Force (FITF), an organization that aims to seek out and counteract foreign influence campaigns that are operating against the United States. There are also older programs, such as InfraGard, which connects the private sector and the FBI in order to protect critical infrastructure. The FBI launched Protected Voices as part of its approach to combating foreign influences. This initiative aims to reduce the risks and influences from cyber operations that attempt to impact US elections. Protected Voices will focus on raising awareness about threats to election campaigns, as well as providing information on the best ways that campaigns can defend themselves. As part of this education campaign, the FBI, the Department of Homeland Security and the Office of the Director of National Intelligence have teamed up to produce a series of videos that give information and tips on cybersecurity best practices. The information is based on the FBI’s experience in cybercrime investigation, as well as industry research. Although the information is tailored towards political campaigns, the videos are helpful resources for anyone who wishes to protect themselves online. The internet age has brought tremendous advantages to communication and other aspects of our lives, but at the same time, it has led to the concentration of valuable data and new vulnerabilities. For the most part, our cyber defenses and our attitudes towards them have been significantly lacking, especially when we consider how much of our lives and our societies now face online threats. Each of the initiatives mentioned above is crucial aspects of keeping the country safe from foreign influence. The threats to the country are dynamic and constantly adapting, so the US’s defenses need to be as well. With reports that Russian groups are trying to influence the 2018 midterm elections, the country desperately needs to get its cybersecurity in order, or else face the possibility that its democracy will continue to be undermined by outside influences. Businesses and individuals also need to start taking online threats more seriously, because attacks and breaches can cost huge sums in operational losses and fines. LuxSci’s encrypted email and secure chat are just some of the services that can help to prevent devastating attacks from affecting you or your business. 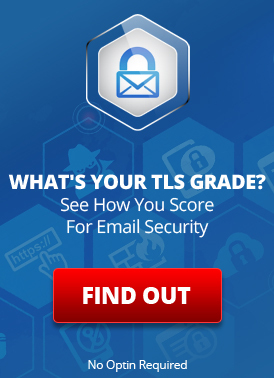 This entry was posted on Thursday, September 27th, 2018 at 8:00 am	and is filed under LuxSci Library: Security and Privacy, Popular Posts. You can skip to the end and leave a response. Pinging is currently not allowed.